I'm a student from Kolkata, India. I was barely 3 yrs old when I first read a book and since then there has been no stopping me when it comes to books.I'm not just obsessed about books.I have other hobbies(skating, painting) and ambitions(I'm studying to be a comp sci. engineer and someday make my parents really really proud of me).But BOOKS are something I have always been passionate about. 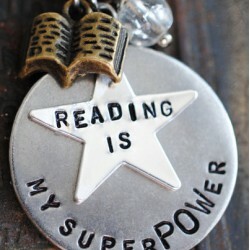 I've learned so much from them.Reading a book is like entering a whole new world.It gave me dreams, hope and friends. And IMO, there is nothing else that someone needs when they have a great book with them. Ok, say maybe I'm a little obsessed. Reading has given me so much. So, I figure writing reviews on the books I read is my way of thanking the community. It is something I can give back. It is my way of helping the authors & publishers so that they keep writing & publishing wonderful books. I don't promise to always write a review for every book I read or as soon as I read, but I'll write as many reviews as possible. Also, I won't let any personal feelings towards any author/publisher compromise any review I write.